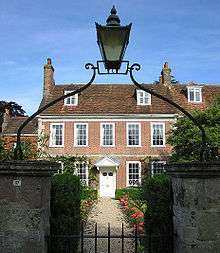 Middle-class Georgian house in Salisbury, England, with minimal classical detail. Georgian architecture is the name given in most English-speaking countries to the set of architectural styles current between 1714 and 1830. It is eponymous for the first four British monarchs of the House of Hanover—George I, George II, George III, and George IV—who reigned in continuous succession from August 1714 to June 1830. The style was revived in the late 19th century in the United States as Colonial Revival architecture and in the early 20th century in Great Britain as Neo-Georgian architecture; in both it is also called Georgian Revival architecture. In America the term "Georgian" is generally used to describe all building from the period, regardless of style; in Britain it is generally restricted to buildings that are "architectural in intention", and have stylistic characteristics that are typical of the period, though that covers a wide range. The style of Georgian buildings is very variable, but marked by a taste for symmetry and proportion based on the classical architecture of Greece and Rome, as revived in Renaissance architecture. Ornament is also normally in the classical tradition, but typically rather restrained, and sometimes almost completely absent on the exterior. The period brought the vocabulary of classical architecture to smaller and more modest buildings than had been the case before, replacing English vernacular architecture (or becoming the new vernacular style) for almost all new middle-class homes and public buildings by the end of the period. 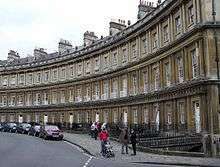 In towns, which expanded greatly during the period, landowners turned into property developers, and rows of identical terraced houses became the norm. 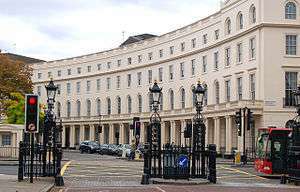 Even the wealthy were persuaded to live in these in town, especially if provided with a square of garden in front of the house. 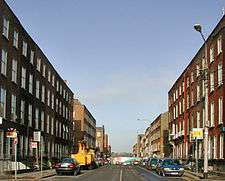 There was an enormous amount of building in the period, all over the English-speaking world, and the standards of construction were generally high. Where they have not been demolished, large numbers of Georgian buildings have survived two centuries or more, and they still form large parts of the core of cities such as London, Edinburgh, Dublin and Bristol. The period saw the growth of a distinct and trained architectural profession; before the mid-century "the high-sounding title, 'architect' was adopted by anyone who could get away with it". But most buildings were still designed by builders and landlords together, and the wide spread of Georgian architecture, and the Georgian styles of design more generally, came from dissemination through pattern books and inexpensive suites of engravings. This contrasted with earlier styles, which were primarily disseminated among craftsmen through the direct experience of the apprenticeship system. Authors such as the prolific William Halfpenny (active 1723–1755) received editions in America as well as Britain. 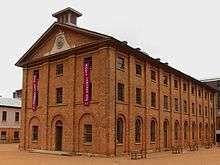 From the mid-18th century, Georgian styles were assimilated into an architectural vernacular that became part and parcel of the training of every architect, designer, builder, carpenter, mason and plasterer, from Edinburgh to Maryland. Georgian succeeded the English Baroque of Sir Christopher Wren, Sir John Vanbrugh, Thomas Archer, William Talman, and Nicholas Hawksmoor; this in fact continued into at least the 1720s, overlapping with a more restrained Georgian style. The architect James Gibbs was a transitional figure, his earlier buildings are Baroque, reflecting the time he spent in Rome in the early 18th century, but he adjusted his style after 1720. Major architects to promote the change in direction from baroque were Colen Campbell, author of the influential book Vitruvius Britannicus (1715-1725); Richard Boyle, 3rd Earl of Burlington and his protégé William Kent; Isaac Ware; Henry Flitcroft and the Venetian Giacomo Leoni, who spent most of his career in England. Other prominent architects of the early Georgian period include James Paine, Robert Taylor, and John Wood, the Elder. 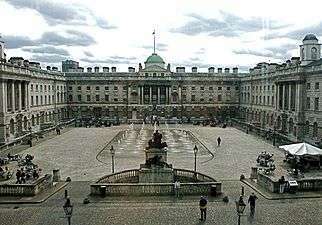 The European Grand Tour became very common for wealthy patrons in the period, and Italian influence remained dominant, though at the start of the period Hanover Square, Westminster (1713 on), developed and occupied by Whig supporters of the new dynasty, seems to have deliberately adopted German stylisic elements in their honour, especially vertical bands connecting the windows. The styles that resulted fall within several categories. In the mainstream of Georgian style were both Palladian architecture— and its whimsical alternatives, Gothic and Chinoiserie, which were the English-speaking world's equivalent of European Rococo. 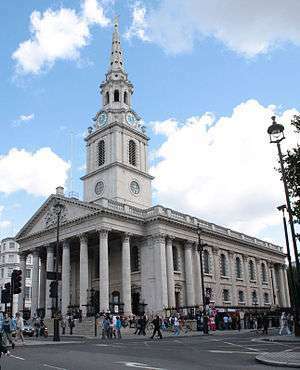 From the mid-1760s a range of Neoclassical modes were fashionable, associated with the British architects Robert Adam, James Gibbs, Sir William Chambers, James Wyatt, George Dance the Younger, Henry Holland and Sir John Soane. 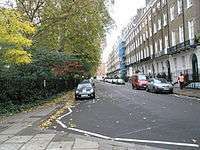 John Nash was one of the most prolific architects of the late Georgian era known as The Regency style, he was responsible for designing large areas of London. 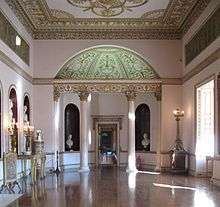 Greek Revival architecture was added to the repertory, beginning around 1750, but increasing in popularity after 1800. Leading exponents were William Wilkins and Robert Smirke. 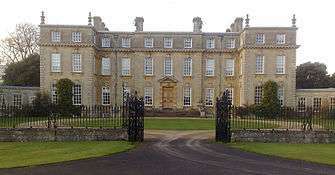 Versions of revived Palladian architecture dominated English country house architecture. Houses were increasingly placed in grand landscaped settings, and large houses were generally made wide and relatively shallow, largely to look more impressive from a distance. 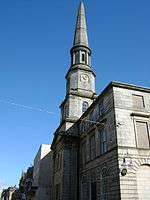 The height was usually highest in the centre, and the Baroque emphasis on corner pavilions often found on the continent generally avoided. In grand houses, an entrance hall led to steps up to a piano nobile or mezzanine floor where the main reception rooms were. Typically the basement area or "rustic", with kitchens, offices and service areas, as well as male guests with muddy boots, came some way above ground, and was lit by windows that were high on the inside, but just above ground level outside. A single block was typical, with a perhaps a small court for carriages at the front marked off by railings and a gate, but rarely a stone gatehouse, or side wings around the court. 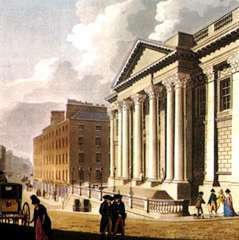 18th Century view of the Georgian Royal Exchange in Dublin; one of "Malton's views of Dublin"
↑ Summerson, 49-51; The Center for Palladian Studies in America, Inc., "Palladio and Patternbooks in Colonial America."